Dark Legacy – JFK and 9-11 is a film compilation with music that tackles four major conspiracies of our times: JFK assassination, Federal Reserve, Apollo Lunar Missions, and 9-11. Once you break through into an evidence-based reality in any of these conspiracies, identifying a cover-up becomes easier. 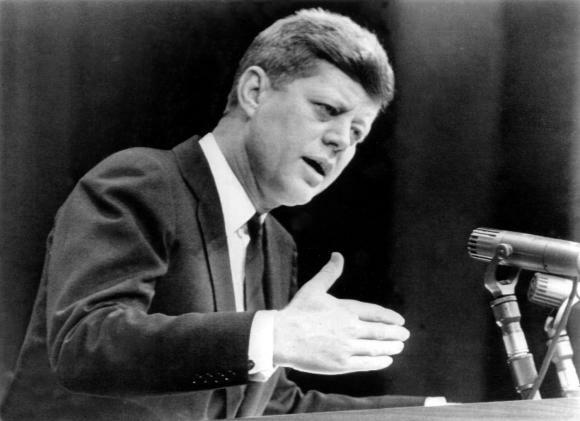 November 22, 2013 marked 50 years since the assassination of President Kennedy. John Hankey’s film: “Dark Legacy: George Bush and the Murder of John F. Kennedy,” provides insight on who was involved and what his assassination meant to our country and world. Dark Legacy – JFK and 9-11 has a running time of 2:24:00. There is also a condensed 58-minute version. The film tackles 9-11 within the context that such an event and cover-up could never have taken place unless other coup d’etat and cover-ups happened first. Dark Legacy – JFK & 9-11 is a 2012 production by Flyby News, which uses an array of films and music in a sequence that could help break the spell of mind control for many. Awakening to what is really going on is vital to deal with current realities. The clips used are some of the most revealing and creative work during times of universal deceit. The short version is recommended for first viewing. The film tackles 9-11 within the context that such an event and cover-up could never have taken place unless other coup d’etat and cover-ups happened first. Dark Legacy: George Bush and the Murder of John F. Kennedy is a film by John Hankey that exposes the Dallas-1963 perpetrators, and why that matters today. It is an honor to collaborate with such courageous citizens, filmmakers, musicians, and citizen journalists. We, the people united will not be defeated, but first we must awaken and see the depth of the problem so we can work toward nonviolent solutions such as in an initiative for direct democracy. There’s a 6 minute Dark Legacy Trailer music-video on Youtube. Please feel welcome to share with friends, family, neighbors, and community TV. You can request a free copy for this purpose by writing to Jonathan Mark at noflyby (at}yahoo.com. Community stations can download film at PEG Media. Feel welcome to follow the film via a group on Facebook! My litmus test for truth involves the cover-up by Jewish-dominated mass media & Hollywood + the many Israeli (Jewish crime network?–mishpuka) connections to 9/11. If these are not mentioned, the information arises from the ‘controlled opposition’, and is misleading. Litmus tests can be a narrowing experience. There are no question that a controlled media system and support by a shadow government and elites controlling money are at the heart of the problem. Labeling them as Jewish-dominated is questionable in my mind. Often neocons are Christians, and there seems to be an alliance between neocons and those wanting to arm an Israeli military state no matter their record of human rights oppressions and violations..This includes the record, too, of a military-police totalitarian state in the US, and those controlling the purse strings and politics in most every nation. The issue is not about one group that you are focusing on.. but the whole group and their actions denying truth, justice, and peace. Focusing on blaming one group is falling into a trap in the blame game.. and not getting into the more important issues regarding evidence of the actual crimes and how to uncover or expose the truth of such crimes.. naming the individuals and administrations, rather than clumping it up all behind those of a certain religion or ethnic background. Yes! “how to expose the truth of such crimes” to an unwilling, unyielding, unmotivated population, like your neighbor for instance, is where I’m stuck. for truth is inevitable and will be realized.. and space exploration will have to come to terms with the big lie with the Apollo lunar missions, 1969-1972..
Uncovering lies in administrations is pointless – the day before 9/11, Cheney (I think), is in front of a house committee telling them that they (the administration) can not account for some 6 trillion dollars. The next day 9/11 happens. Nothing is ever done regarding the lost 6 trillion. Our problem is that there is no energy directed to anything above the government. The highest one can reach is to be a government leader. What is needed is an organization whose goal is truth and the sustained life of the human species that all persons of earth could strive to be a part of. A goal above government, focused on human survival. It was $2.3 Trillion dollars that Rumsfeld admitted was unaccounted for with the Pentagon budget. Still quite significant, and the Pentagon was bombed at the offices of those involved in the accounting department.. Yes.. reality is stacked against us.. but my home town now on its email list is basically in agreement with the demolitions and inside factor of that day, but they don’t want to do anything about it.. or discuss it much.. So, yes, 9-11 is in our past, unless you want to point out the fact of how it is still being used for ongoing wars.. In 2019 we will have the 50th anniversary of the bogus Apollo lunar missions.. That will have to be exposed sooner or later, unless our world breaks down into world war and chaos beforehand.. but we still have time to demand change.. which is what this article is about.. Litmus Tests for Truth and Transformation.. Resistance in not futile.. unless you want to buy into the current Orwellian scene.. Nature still is with us.. and life.. and thus hope.. and most people are good.. but I think it will take awakening to the truth of the military psy-ops moon mission to motivate us to demand change.. thanks for commenting here..
Have you seen the Bill Cooper video on the assassination of John F. Kennedy. I have a copy if you like. Are you referring to the doctored Zapruder film showing the driver did it..? I haven’t watched this video yet, but if you do.. let me know what you think. “Bill Cooper’s JFK Assassination expose REFUTED” – YouTube As my friend Bart often says, even a half truth can be a whole lie. Disinformation? I wonder.. Yes.. how can we help awaken what is true to an unwilling, too scared, too distracted, public? The first step is to awaken ourselves, and keep connecting the dots to the actual conspiracies and deceptions. To share what I wrote this morning on this subject, I am sharing the following FB message communication from this morning..
yes.. the nwo wants everyone to believe not to go there.. so they keep the lies going.. so people do not want to look into the “no no” issues, not fully realizing how they are being influenced by their fears, or absence of love.. since when one confronts a fear, you can do something about it.. but the mainstream population is fully mind controlled, conditioned by a lifetime of indoctrination and for many in the usa in deep comfort with lots of distractions to keep one occupied… and not going there.. But this is exactly why if 9-11 and JFK truth activists could unite outside their boundaries, the dots can be connected. Are we not ready to use the scientific process to analyze why what happened 6 times from 1969-1972 has never been repeated? Or even any evidence of a human surviving beyond low orbit in more than forty five years in the so-called “Space Exploration” period. Are we not finding out that it is more of an age of deception. When Bush announced we would be back on the moon in 2020 in 2004.. only to have the project end in 2010, for lack of progress, too expensive, but does that relate to their “success” 6 times in 3 years. For some things it is a damn lot harder doing than faking. The humility achieved from seeing what we believed most of our life is a deception, then all one needs to look back a few years to see JFK blown away, peace directions, detonating a nuclear device near the radiation belts, as the elitist war with Russia continued mostly by finance manipulation, a world government started emerging with corruption as their connected element. And their were the enforcers that could escape any realm of the concept of justice.